The humble lime is no stranger to delicious frozen concoctions. It's a staple in margaritas and adds zest to a variety of drinks. Pineapple, take a seat - lime is the star of the colada this time. With ice cream, crushed graham crackers and rum, sour lime gets a totally sweet makeover in this indulgent treat. Add ice to the reservoir and all ingredients to your Margaritaville® Frozen Concoction Maker®. Meanwhile, in a small bowl, mix together the brown sugar and additional crushed graham crackers. Wet glass rims lightly with water, then dip into mixture to coat. Mix the frozen concoction, and then pour into prepared glasses and garnish with a generous swirl of whipped cream. Limoncello is a classic cooler, but lime can also steal the spotlight in this Italy-inspired, easy-to-make frozen concoction. It's a little zesty, a little sweet and totally refreshing. Add ice to the reservoir and all ingredients to your Margaritaville® Frozen Concoction Maker®. Mix and then pour into a tall, skinny glass and garnish with lime zest curls. It's time to give limes the spotlight. A summertime staple, raspberry lime rickeys have delighted generations. Put a spin on this nostalgic drink with this grown-up version. Add ice to the reservoir and all ingredients to your Margaritaville® Frozen Concoction Maker®. Mix, and then pour into a tall glass and garnish with a lime slice, of course. A staple Mexican drink, aguas frescas, or "fresh waters," are made with fresh fruits and are sweetened just enough. 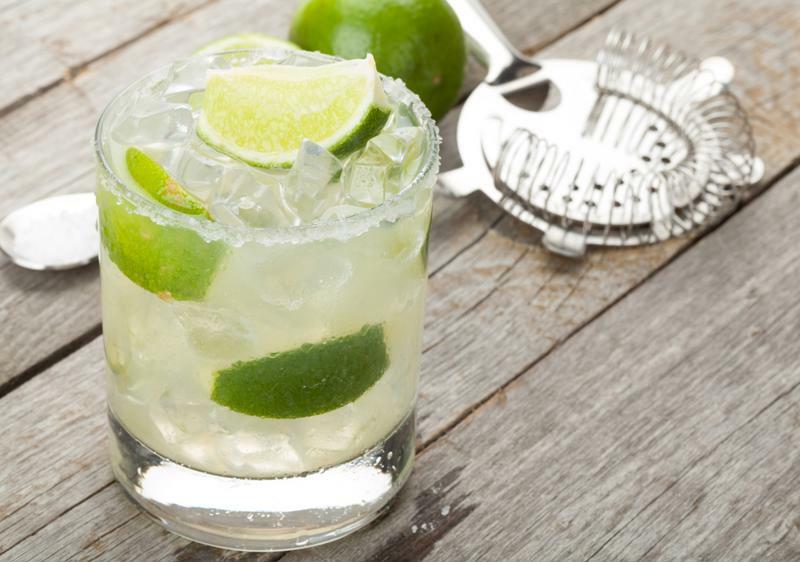 Try this refreshing lime rendition in your Frozen Concoction Maker® whenever you need to cool off. Add ice to the reservoir and all ingredients to your Margaritaville® Frozen Concoction Maker®. Mix, and then pour into tumblers and garnish with fresh mint sprigs. When you need an extra-fun and delicious non-alcoholic treat for a party - or just to celebrate the weekend - try making this chilly Cilantro Lime Slushie. Bold lime flavor is perfectly accented by fragrant cilantro and lightly sweetened with agave nectar and lime sherbet. Add ice to the reservoir and all ingredients to your Margaritaville® Frozen Concoction Maker®. Mix, and then pour into a tall glass and enjoy!